Bajaj has launched the new Pulsar 150 Neon in India at Rs 64,998 (ex-showroom, Delhi). 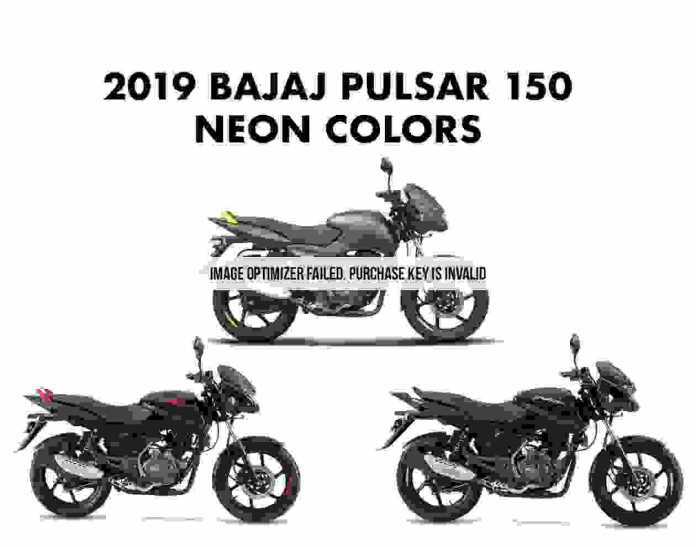 The new Bajaj Pulsar 150 Neon is basically the Pulsar 150 Classic with new color options. The motorcycle is available in three shades – Neon Red, Neon Yellow, and Neon Silver. All three versions feature neon highlights on the headlamp brows, badges, side-panel mesh, and the grab rail. Also, with the Neon Yellow edition, the Bajaj Pulsar 150 gets a matte shade for the first time. Apart from the new colors, no cosmetic changes have been made to the 150cc motorcycle. Powering the bajaj new model bike 2019 Pulsar 150 Neon is a 149cc, air-cooled, single-cylinder engine producing 14hp at 8,000rpm and 13.4Nm of torque at 6,000rpm, paired to a five-speed gearbox. Cycle parts like the frame and suspension also remain identical. Braking is done via a 240mm disc at the front and a 130mm drum at the rear. As this bike is a variant of the 150 Classic and not a new product, Bajaj isn’t required to equip it with ABS. Please Bookmark theprimetalks.com by pressing CTR+D on your Keywords for Latest news updates of AutoNews.